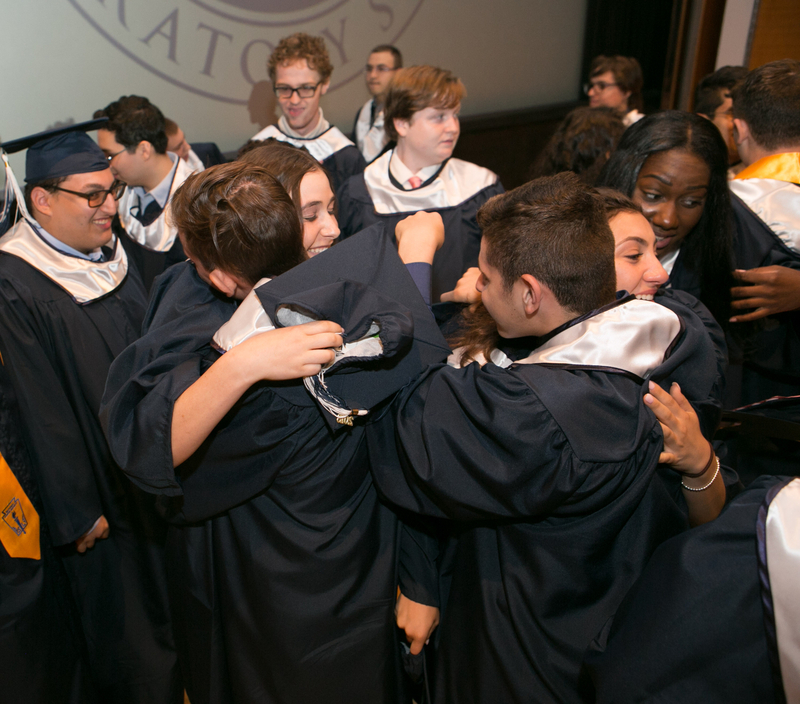 The Class of 2018 concludes Commencement with a celebratory tossing of their caps at the Brooklyn Museum on June 1. More photos below. Those were the words of Jordan Allbrooks, a member of the Bay Ridge Prep Class of 2018, who spoke at the school’s 20th Annual Commencement. The ceremony, held on Friday, June 1, at the Brooklyn Museum, featured several speakers who each reflected on moments the class shared together while calling on this generation to be a force for change and unity. Class of 2018 graduates Alexander Maiorana, Konstantinos Mitsolides and Emily Stoddard credited the atmosphere of Bay Ridge Prep with putting them and their classmates in a position for further growth and development. The salutatorians of the Class of 2018. View more photos and the full gallery below. Flannery Brown, who remembered a senior year assignment asking her to consider the concept of nothing, spoke about medical mission trips she took with her family to Ethiopia where she met children diagnosed with HIV/AIDS, living in tiny homes and with none of the amenities most Americans take for granted. It made her realize the beauty of not being tied to possessions and materials in order to find happiness and also made her realize that each person starts their life knowing nothing and learning through curiosity. The valedictorians of the Class of 2018. More photos and view the full gallery below. 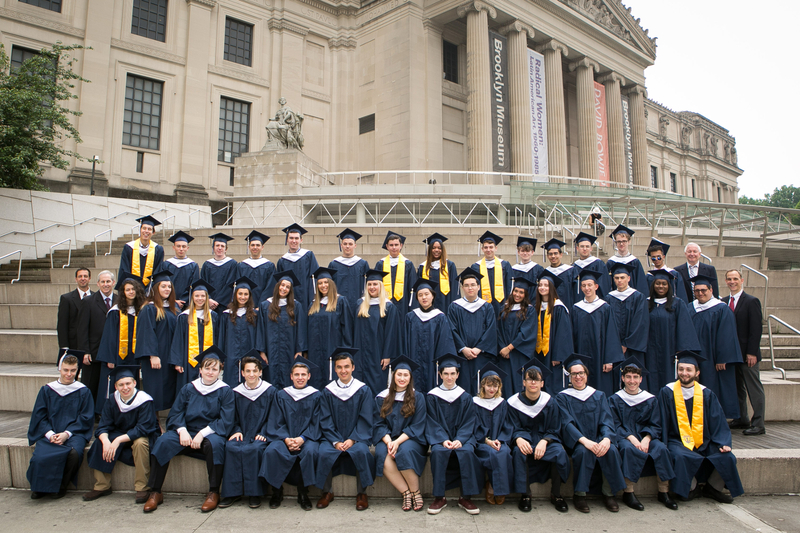 Before they turned their tassels and tossed their caps, the graduates and guests also heard from Heads of School and Bay Ridge Prep co-founders Dr. Michael Dealy and Dr. Charles Fasano.Dr. 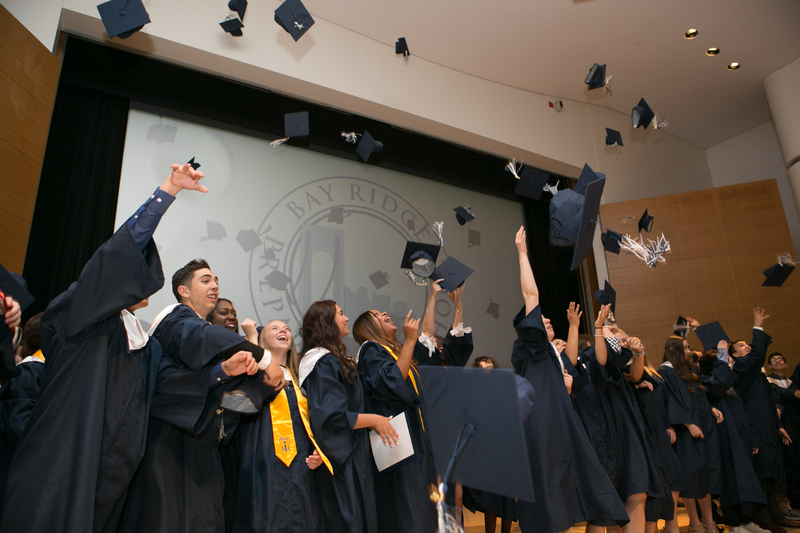 Dealy noted that the Class of 2018 were just some of the “wonderful citizens” found in the community of Bay Ridge Prep. Dr. Fasano urged the graduates to take the responsibility of asking themselves how they are serving the broader community. One last class photo on the steps of the Brooklyn Museum. More photos below. Honors announced at Commencement included the naming of Valedictorians Flannery Brown, Georgina Iljazoski, Alexander Maiorana and Griffin Wolf. 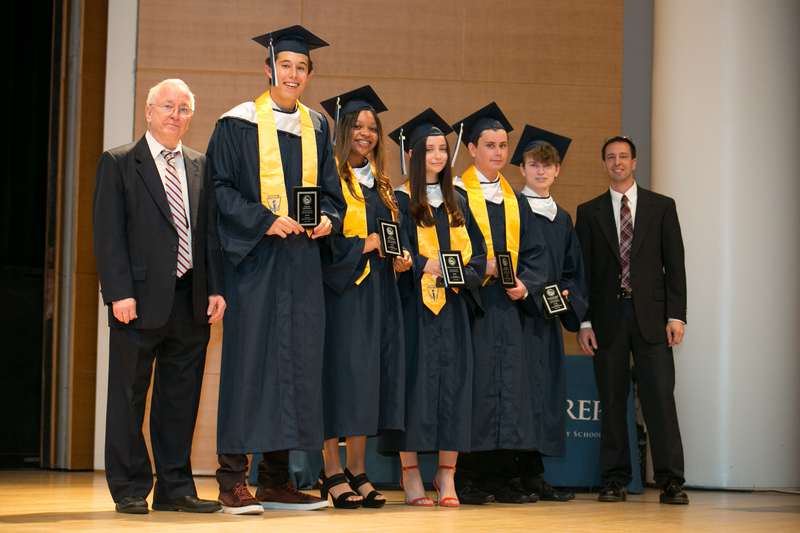 Salutatorians included Jordan Allbrooks, Dylan Friedman, Dmitry Kaganovsky, Konstantinos Mitsolides and Emily Stoddard. The valedictorians and salutatorians, in addition to having the highest GPAs in the class, completed numerous AP, honors and, in some cases, college-level courses during their high school career. 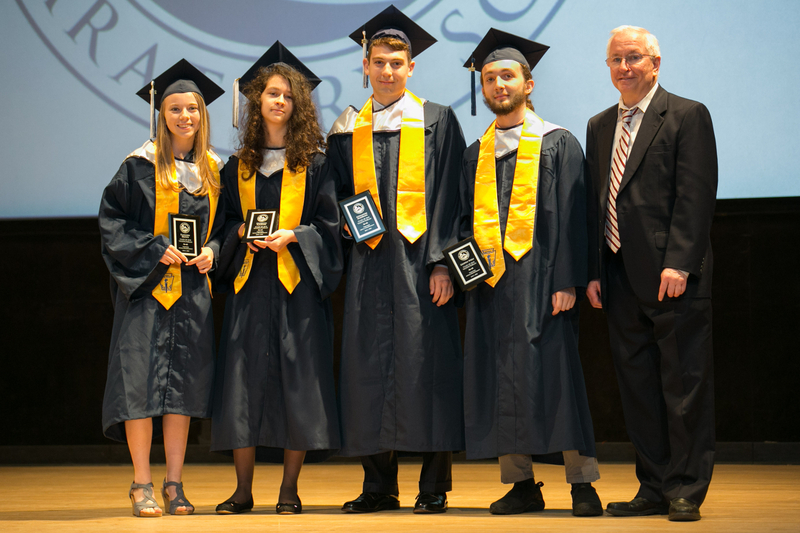 Medals of Academic Distinction were given to Gennaro Bosamonte, John Ciantro, William Drury, Amanda Dweck, Alexander Galasinao, Kate Gangi, Aaron Iljazoski and Alexander Pellitteri, Alexander Privman and Kristen Williams-Libert. Students who have been with the school since Kindergarten. More photos below. 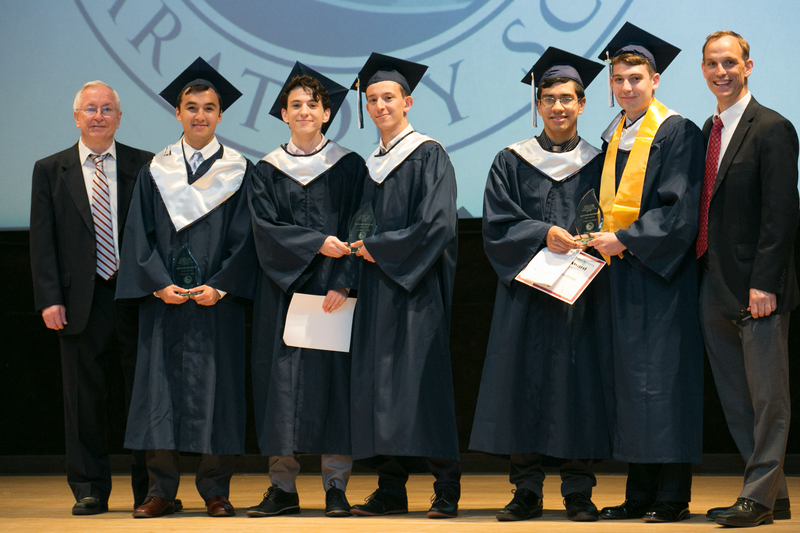 Five students - John Ciantro, Alexander Galasiano, Alexander Maiorana, Alexander Pellitteri and Nathan Vaysberg - were also recognized with the Charter Club Award, a distinction given to graduates who have been in Bay Ridge Prep from Kindergarten all the way through the completion of Upper School. Moments after Commencement ends, graduates begin their farewells to one another.